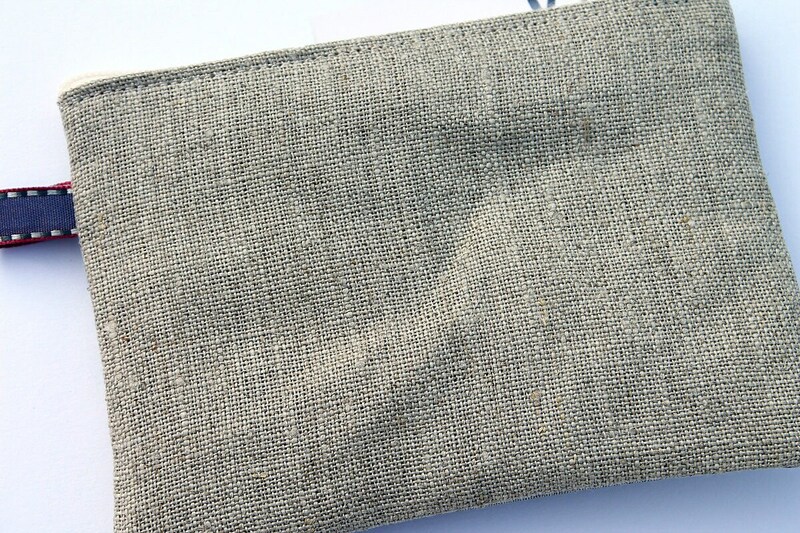 Wallet linen illustrated "Littles fihes azulejos"
Wallet linen with original illustration printed on the front and back in natural linen. Closed by zipper. 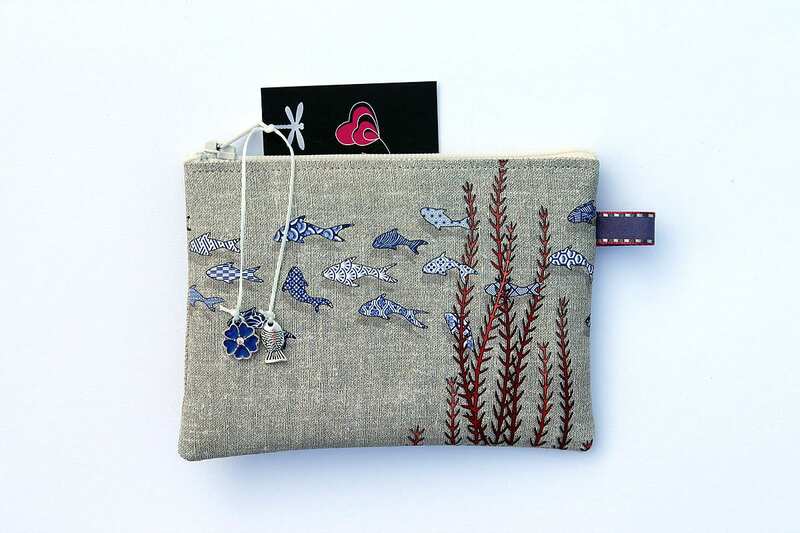 Two charms (fish and flower in antique silver) are attached to a white waxed cotton cord. Small matching Ribbon on the side. 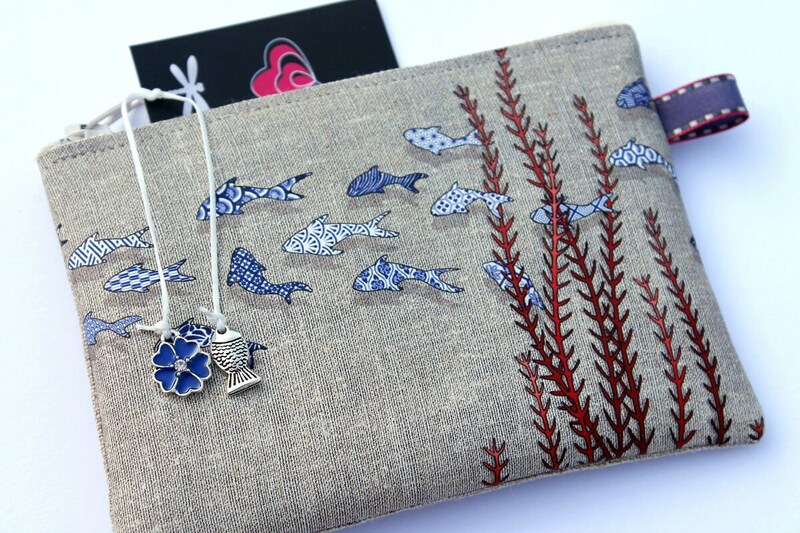 The illustration shows a shoal of fishes pattern tiles.